In the past, parents told children not to accept candy from strangers. They might want to add something else to that list: video game portables. 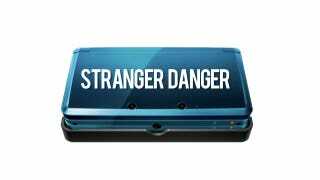 Earlier this month in Hokkaido, Japan, an overweight man in his 40s or 50s called out to a grade schooler on her way home: "I'll give you a 3DS, so come here." Wearing a black jacket, the man was seated, and thankfully, the grade schooler was smart enough not to approach him. So kids, do not take candy or game machines from strangers—even if you're offered rare Nintendo handhelds like a clear Game Boy, a Super Famicom Game Boy Advance or a Bathing Ape DS Lite. Just don't!